Huntress is the first in a series of cyberpunk / dystopian fairy tale retellings. Distant Horizon is the first book in a series of novels. Young Adult Dystopia. Join the Distant Horizon Universe mailing list and get the first half of Distant Horizon free! Whispers in the Code is the first book in a series of short novels and novellas. (A spin-off series from Distant Horizon). Upper YA/NA Sci Fi. Join the Distant Horizon Universe mailing list and read Glitch: Whispers in the Code for free! Ghost of a Memory is the second book in The Glitch Saga. Upper YA/NA Sci Fi. Spirits of a Glitch is the third and final book in The Glitch Saga. Upper YA/NA Sci Fi. Stone and String is the first short story in a planned series of short stories. Young Adult Fantasy. Did you know you can read “Stone and String” for free when you sign up to The Wishing Blade Universe newsletter? Click the picture below to learn more! Wind and Words is the second story (novella) in a planned series of short stories and novellas. Young Adult Fantasy. 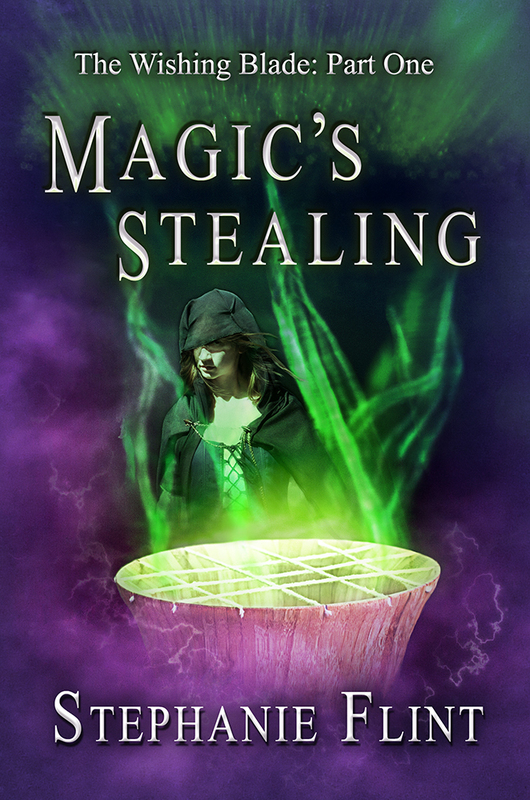 Magic’s Stealing is the first novella in the series. Middle Grade/Young Adult Fantasy. For centuries, ribbons of magic provided the kingdom of Cirena with light, healing, and protection. But with a coup against the gods on the brink of unfolding, a dark power steals the magic from the land and cripples the kingdom in a single afternoon. Not everyone is caught unaware. A local goddess blesses two young mages with a gift—they keep their magic, and in return, they must help the gods defend the kingdom. One of these mages, Toranih, is a young noblewoman who would rather have a sword in her hand than use her powers to heal or throw fireballs. And she would much rather stay out of the plans of immortals. But with former mages dying from magic withdrawal, and the looming threat of an army who can twist others into shadows like them, Toranih must embrace the responsibilities of a mage or watch her home perish. Read the first four chapters, free! Click here to download the PDF. The Shadow War is the second novel in the series. Middle Grade/Young Adult Fantasy. The kingdom of Cirena is under attack from an army of shadows—beings who can only be hurt by magic or fire. Magic has been stolen, and as the shadows spread, infecting all they touch, the last two ribbon mages race to the nearest port city to warn them of the impending invasion. One of those mages, Toranih, is among the few who can see the Trickster-cursed army, and she’s determined to get magic back—no matter how much she distrusts it. When she is captured by shadows and a dark secret is revealed about her future, her best friend, Daernan, is left to defend the city. But his only methods of stopping the shadows are by fire and the devastating magic of the shodo’charl. With the knowledge that the shadows are innocent townsfolk forced to do a warlord’s bidding, Daernan must choose between saving the shadows or saving those who have not yet turned. The Shadow War is the third novel in the series. Young Adult Fantasy. 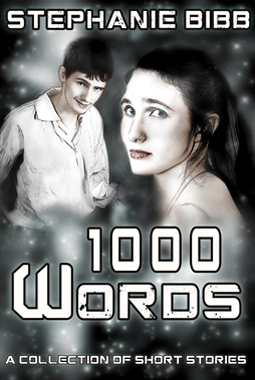 1000 Words is a collection of ten short stories, each approximately one thousand words in length. They range from science fiction and fantasy, to adventure and horror. Each short story is accompanied by its own book cover. This was a capstone project meant to merge photographic illustration with creative writing. *A space traveler wakes up with no memory of yesterday’s events, and sits down to read the ebook she finds on her bedstand. *When a young girl gets transported to the future, she becomes single-handly responsible for a plague that could wipe out Earth’s population. *Two teens chose to save a library instead of escape into bunkers when their city was attacked. Now they try to stay together and find the device necessary to read the files they saved. *A young witch ventures outside of her town for the first time in hopes of transferring her brother’s illness to a willing creature. *A young hunter defends herself against an intelligent cougar stalking her family’s village. *A father’s actions run full-circle when he chooses to cut educational funding. *A man’s choices lead him to four red lights in the middle of nowhere, where he is haunted by a ghost of his past. *The mystical Dreamkeeper is intrigued by the appearance of a wandering child in her dream world. *A magician’s reenactments of his past come to a halt when his sister shows up onstage. *A steampunk investigator discovers a missing scientist has created a strange clockwork angel. You can find each of the short stories available for free individually on Smashwords or as an anthology on Amazon. 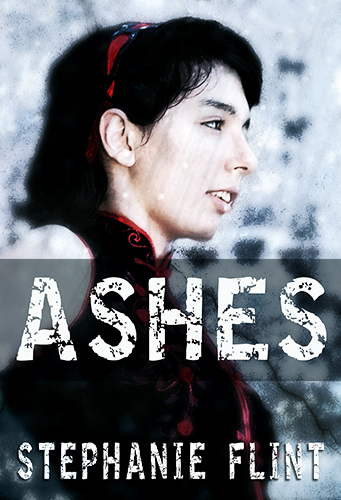 “Ashes” is the prequel to “Socks,” one of the short stories from 1000 Words. 7,500 words. When rebels attack the city, two teens race to save the last existing library before it is destroyed.